You may be tempted to take the kids on an expensive winter vacation. Why not save your money and get creative? 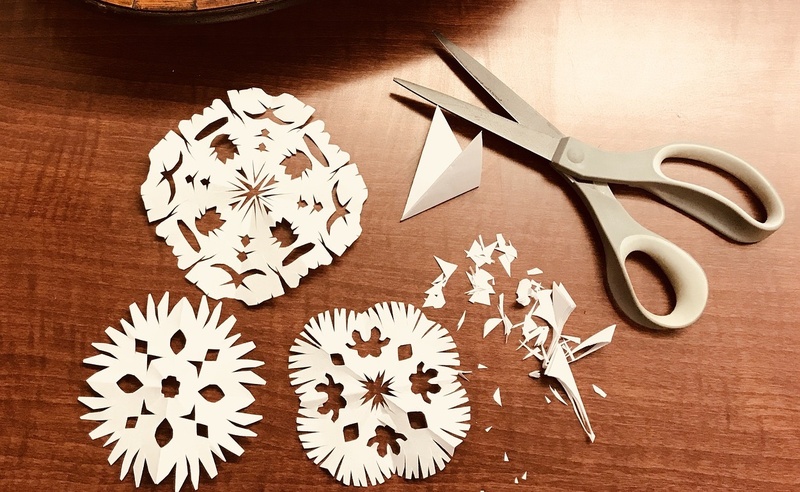 Here are some fun crafts you can do to keep your kids occupied during those dreary, winter days. You don’t need fancy machines and expensive paper to make cute cards. The shelves of craft stores are lined with stickers and other accessories you can use. Ten blank cards in a pack will cost you $4 to $5, and you can choose from a variety of styles and colors as well. Once you have chosen the base, head to the sticker and ribbon aisles and gather some accessories. 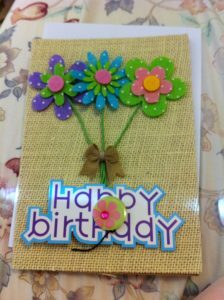 This card was made using a burlap premade card and some stickers. For kids who like to use needle and thread, visit the cross-stitch section and purchase a book of designs. Then stitch and attach them to the premade cards. You can make a lot of cards in a few weeks! 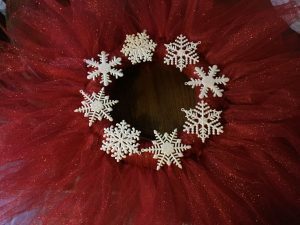 Tulle wreaths are fun and so easy to do. You have a lot of color choices and it’s often on sale at craft stores like Hobby Lobby. All you need is a wreath form, scissors, and any embellishments you want to add. Cut the tulle into strips and tie it around the wreath, keeping the knot on the inside. Once the wreath form is covered, trim and fluff the tulle until it looks full and even. Then add embellishments. Here’s an example of an easy Christmas wreath. ck up some clear, plastic ornaments you can fill, something to fill them with and if you like, some stickers. 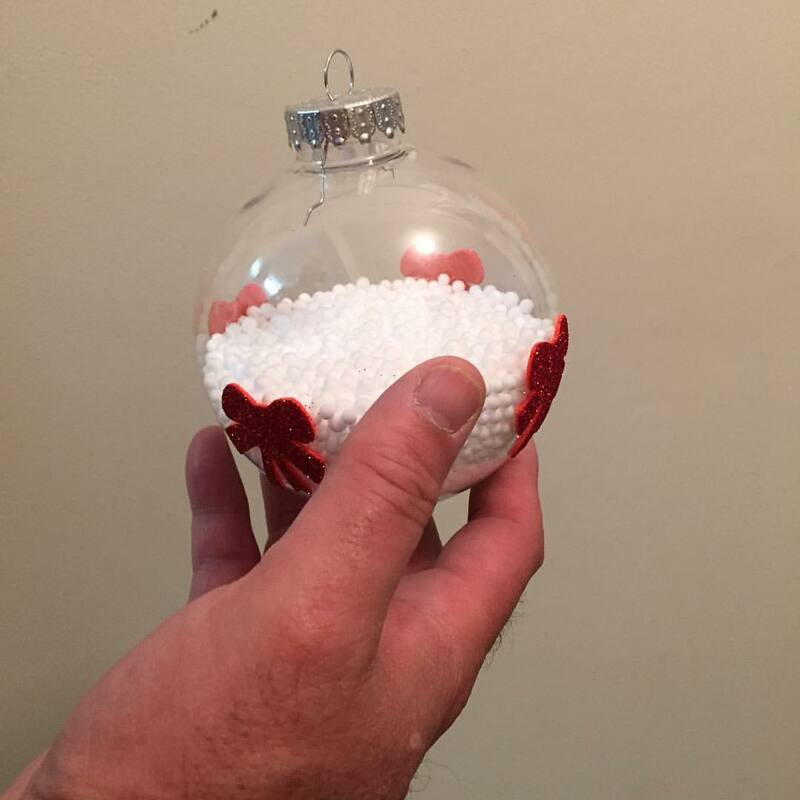 This ornament is filled with some foam pellets and embellished with stickers. All of the materials were purchased at a dollar store. You can find initials of all sizes in craft stores. Paint them or embellish them for a cute wall or door hanging. 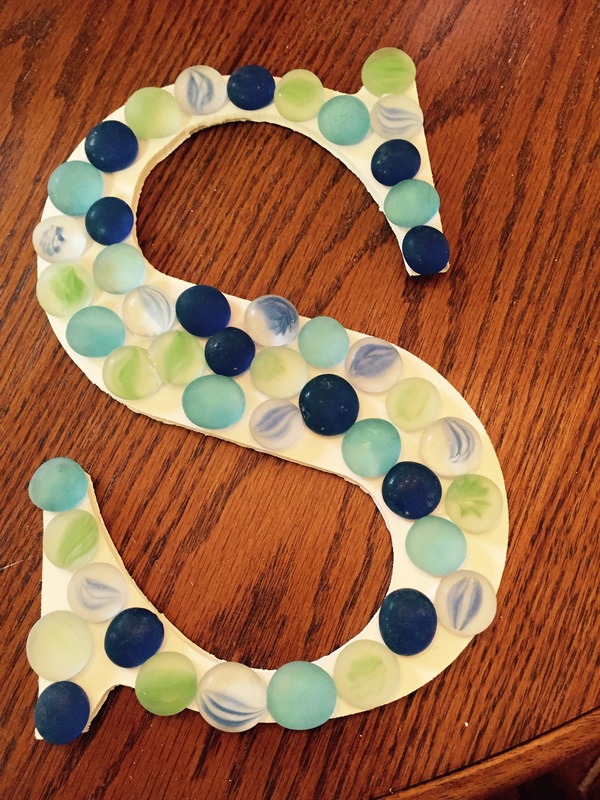 This “S” was made by simply gluing glass gems found at the local dollar store. You can also add flowers and a ribbon for hanging to a premade initial. Craft stores also have many sizes of canvases. Not everyone can paint, but most of us can glue. 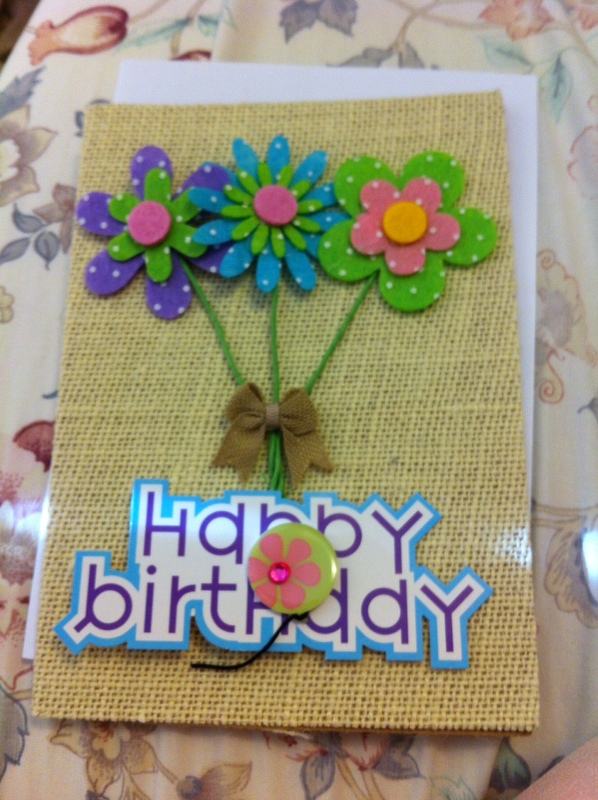 You can create a cute wall hanging by taking scrapbook paper and gluing it onto the canvas. To make the project super easy, use an 8 ½ X 11 canvas. The paper will fit perfectly. 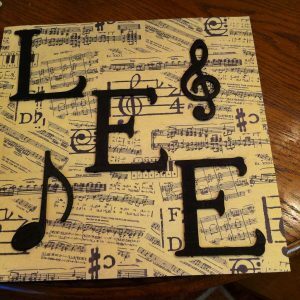 Once you have glued the paper onto the canvas, embellish it with letters, stickers, or whatever suits your personality. What are some of your favorite crafts for kids? Share your ideas in the comments below!